Location! Location! Location! 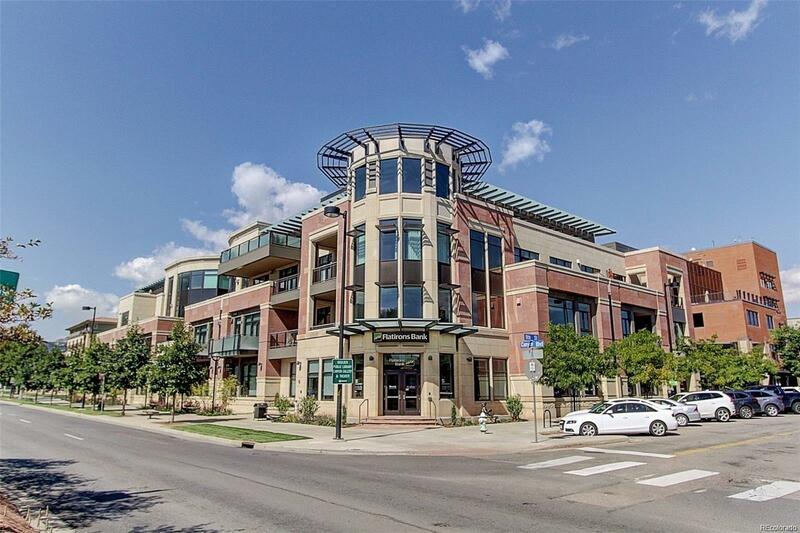 This stunning urban contemporary unit is in the heart of highly coveted downtown Boulder! Equipped w/chefâs gourmet kitchen w/wolf 6 burner gas oven, Sub Zero refrigerator, granite countertops, stone backsplash, walk-in pantry w/custom shelving and hardwood floors w/radiant heat (throughout). Just steps from Pearl street mall & the St. Julian hotel. This property offers BREATHTAKING UNOBSTRUCTED FLATIRON MOUNTAIN VIEWS from Living room, private patio & master bedroom. Spacious open floor plan w/10ft ceilings, laundry area w/washer & dryer. Fireplace in living room, and floor to ceiling windows w/automated blinds which open to private patio. Beautiful master bedroom w/spa-like bathroom and walk-in closet w/custom built-ins. Two underground parking spaces w/custom storage & bike racks. Truly on of the most secure, private & luxurious residences in downtown Boulder! Conveniently located close to parks, creeks, trails, biking, hiking & much more!